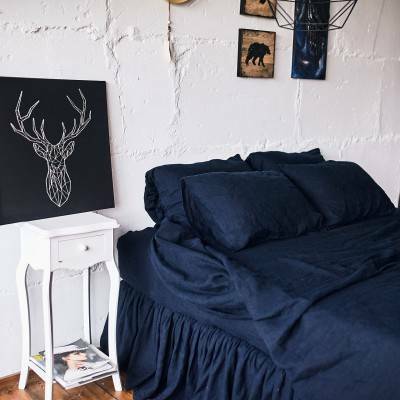 Full bed makeover in one color. 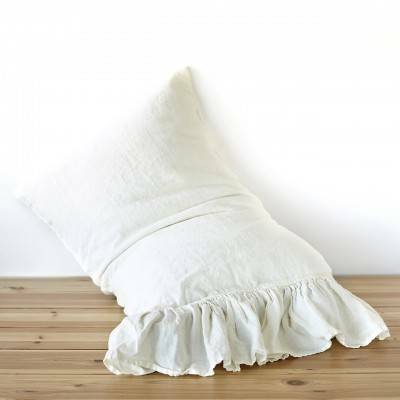 This is an amazing 8-products bedding set including sheet set, duvet cover set, and bed ruffle. 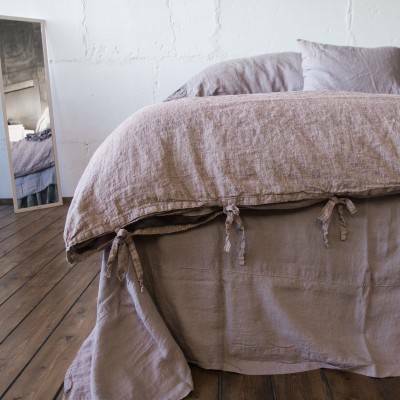 Linen bedding set is handmade of prewashed 100% pure flaxen linen fabric in pleasant subtle natural and earthy colors. 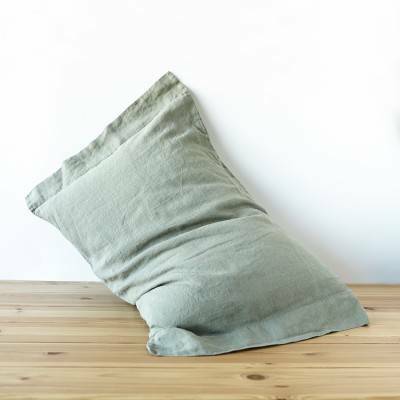 It is unsaturated and mild palette with a stylish rough undertone. 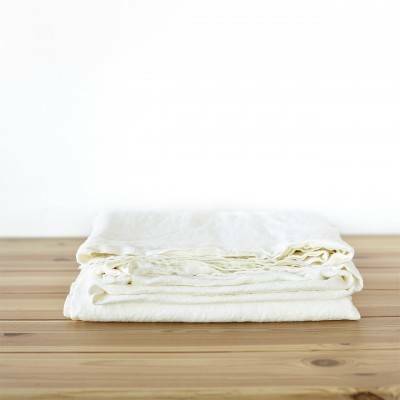 Choose any size of 8 products bedding set from twin to king - linen bedding set is generously sized. 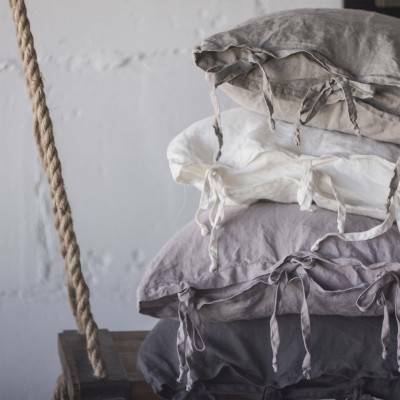 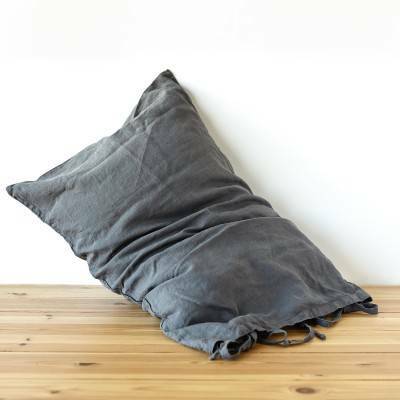 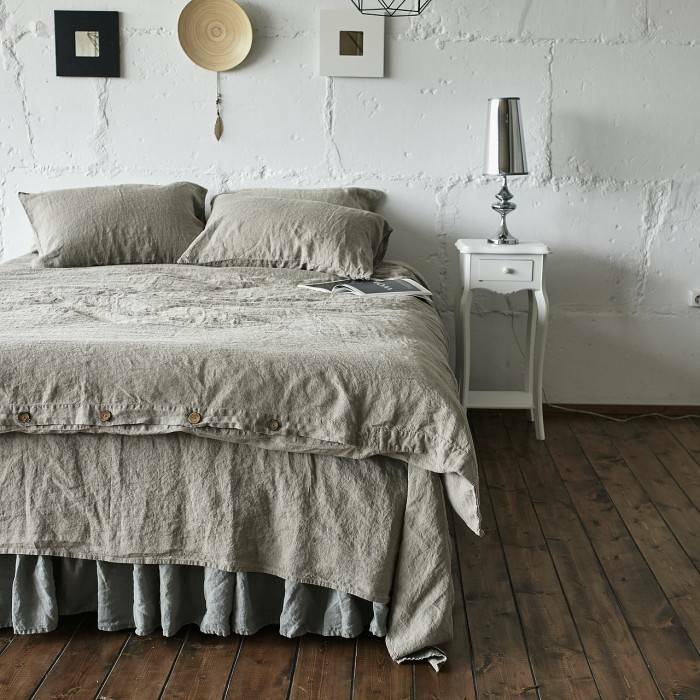 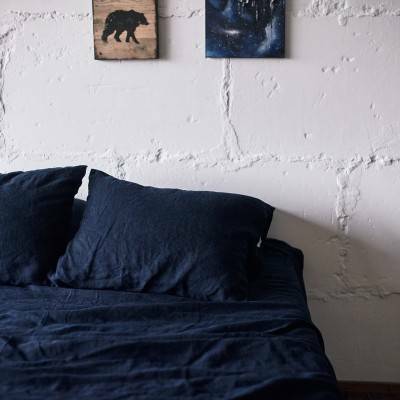 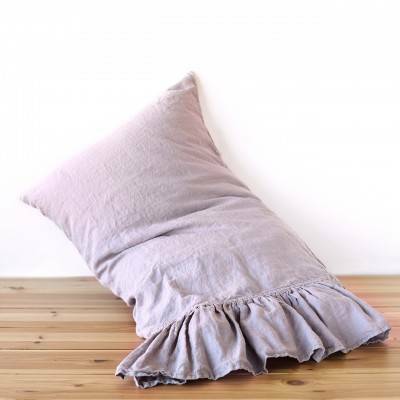 This pleasant stonewashed textured linen bedding is an affordable luxury for everybody. 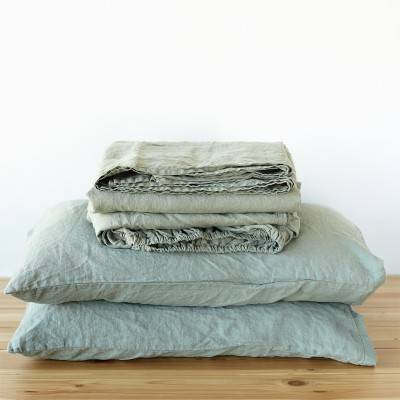 Linen bedding king and queen sizes can be used for Australian queen and king size beds too - just the king size is slightly bigger.